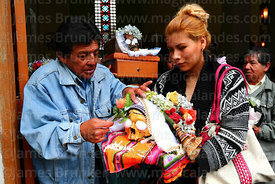 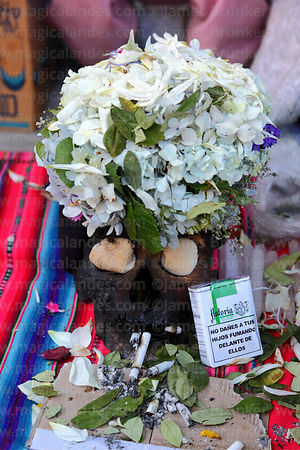 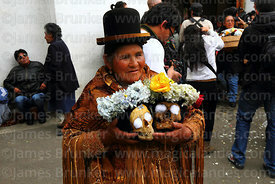 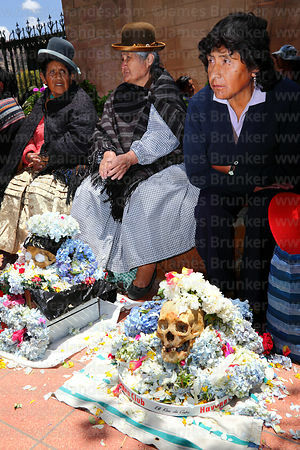 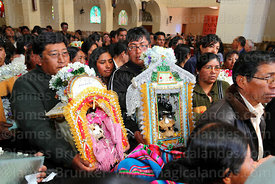 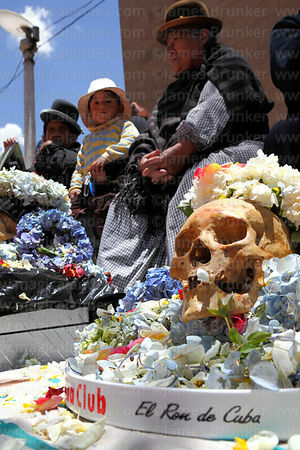 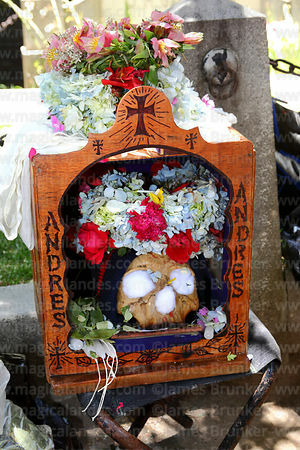 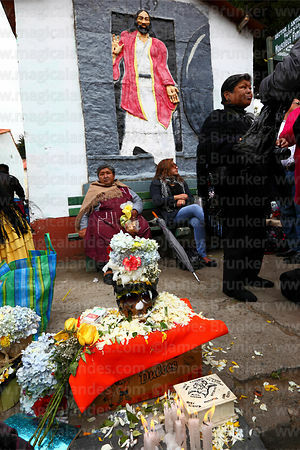 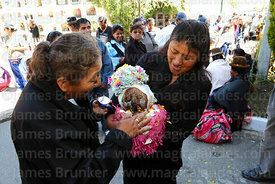 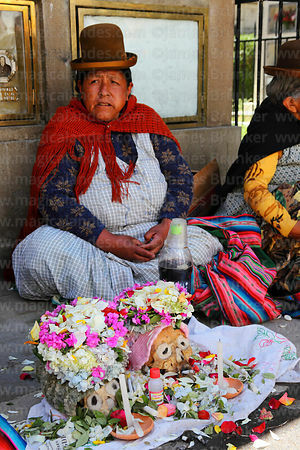 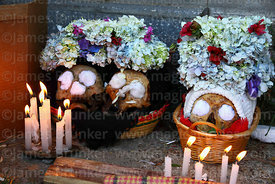 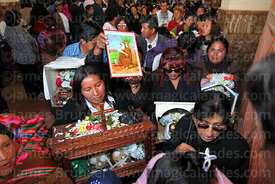 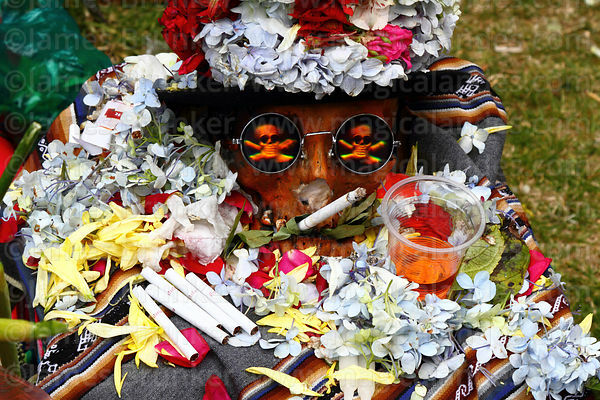 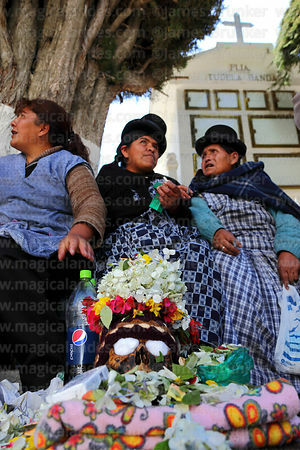 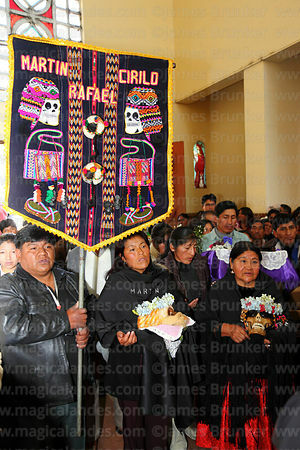 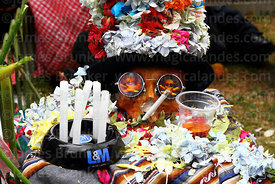 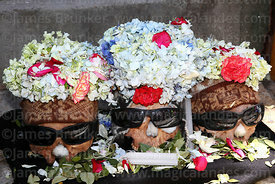 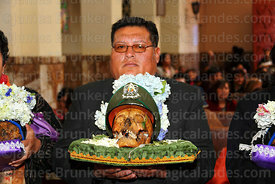 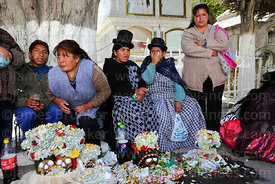 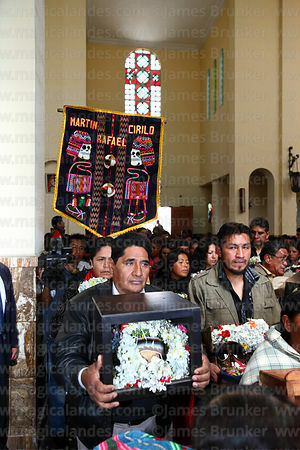 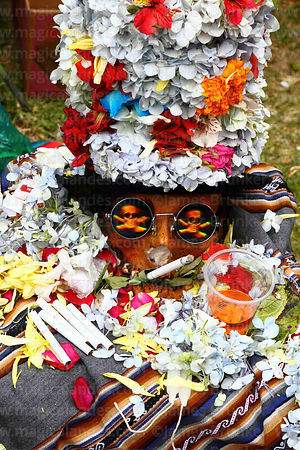 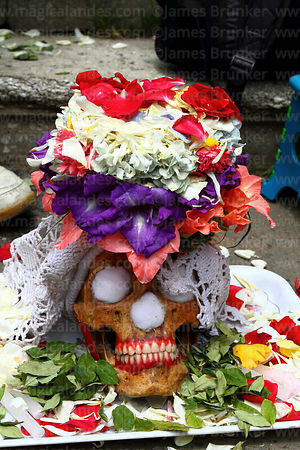 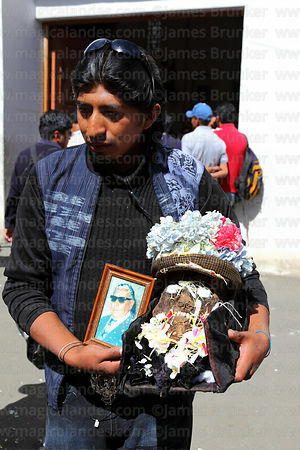 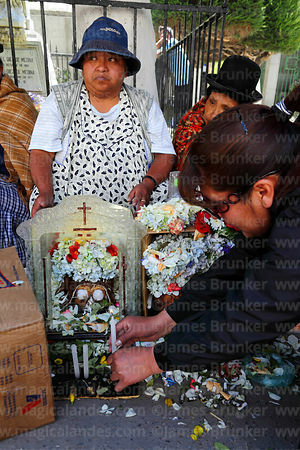 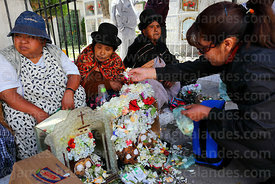 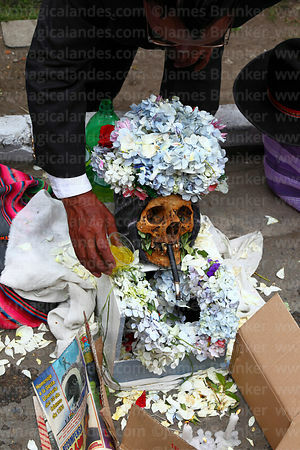 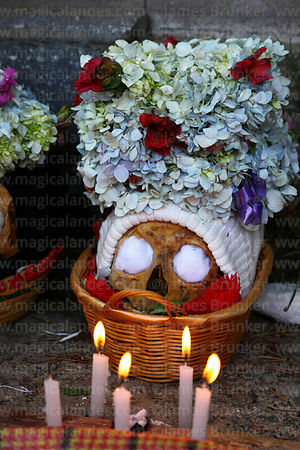 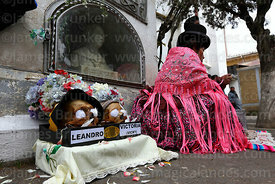 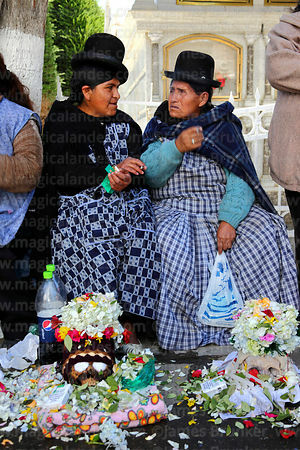 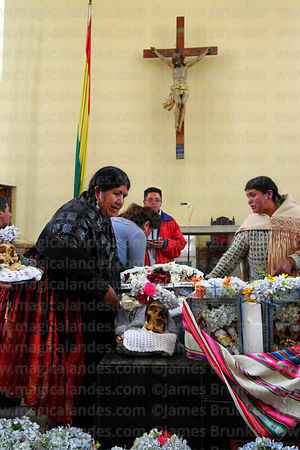 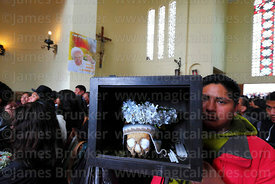 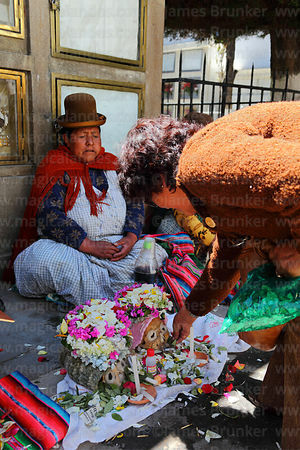 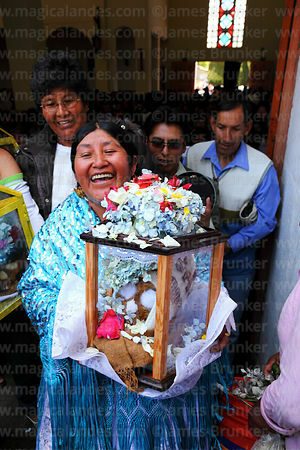 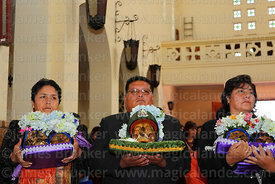 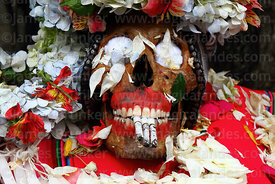 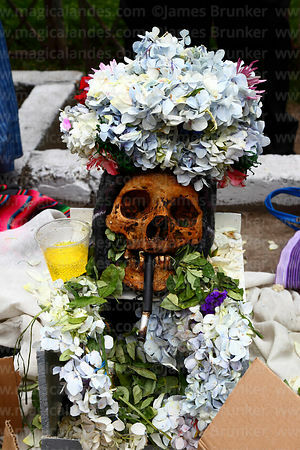 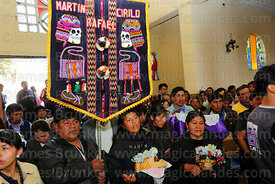 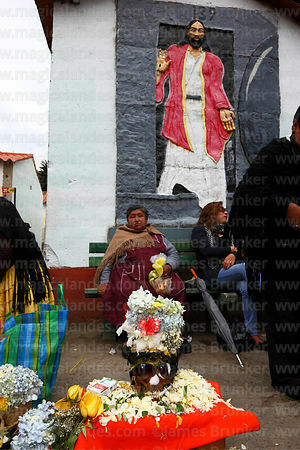 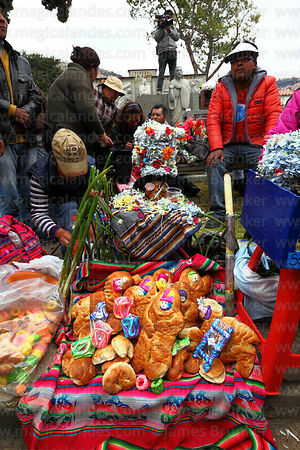 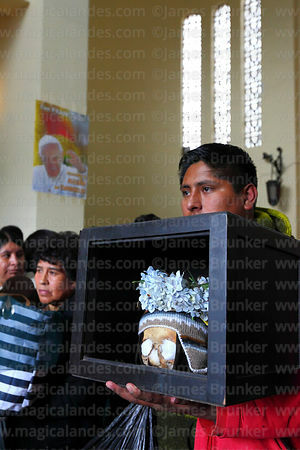 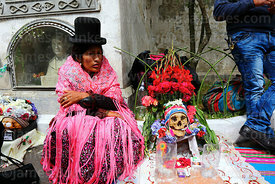 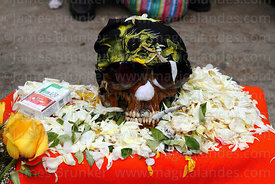 A bizarre and macabre festival even by Bolivian standards, the Ñatitas festival takes place on 8th November in parts of the altiplano and especially in the main cemetery in La Paz. 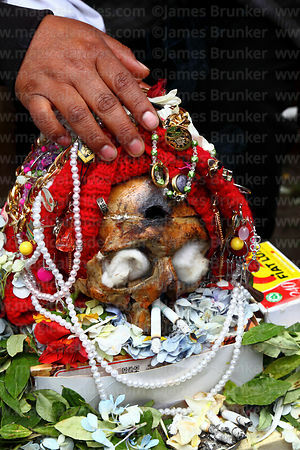 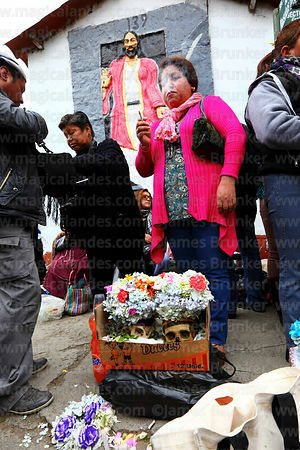 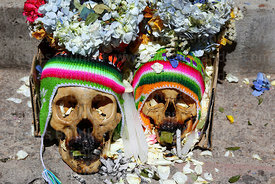 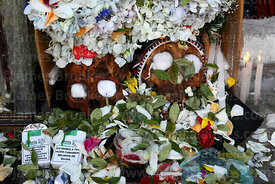 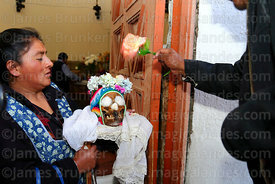 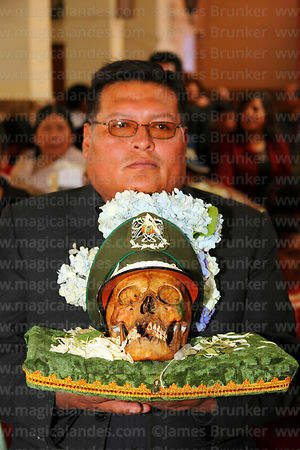 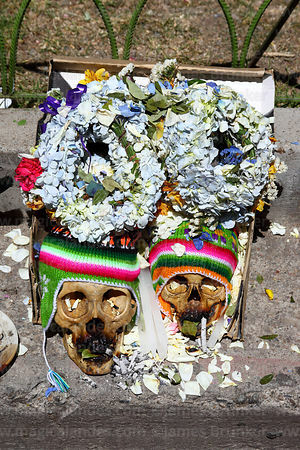 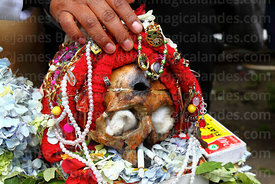 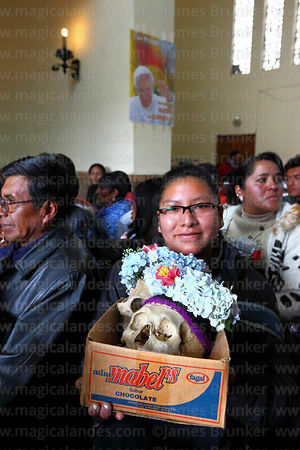 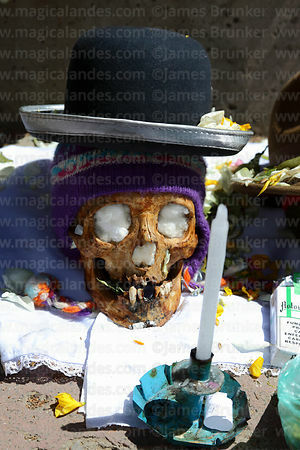 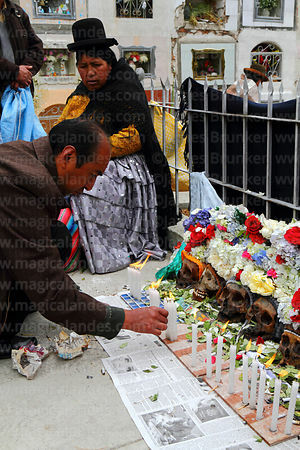 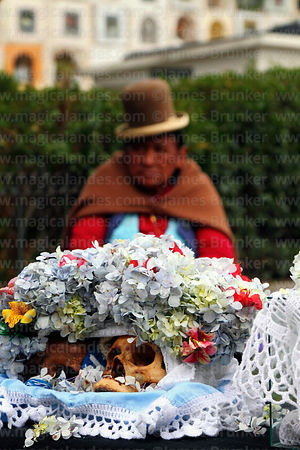 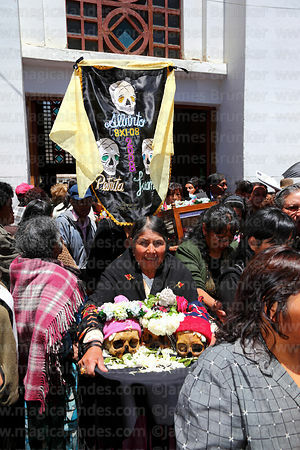 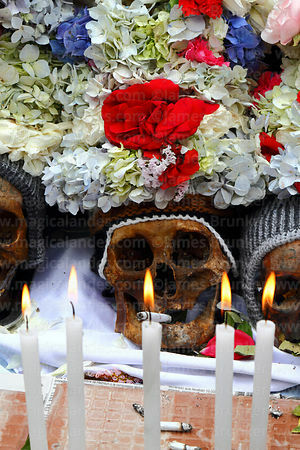 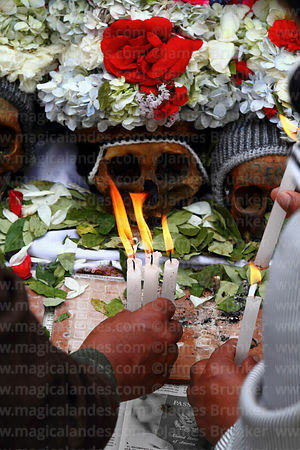 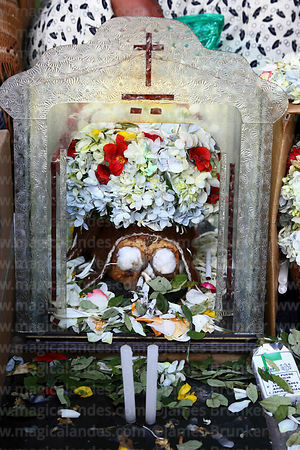 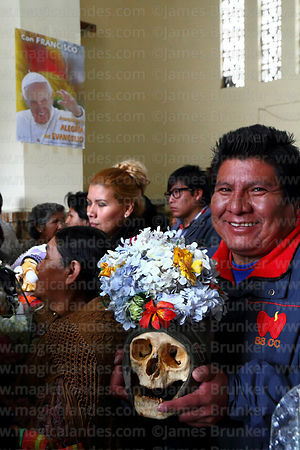 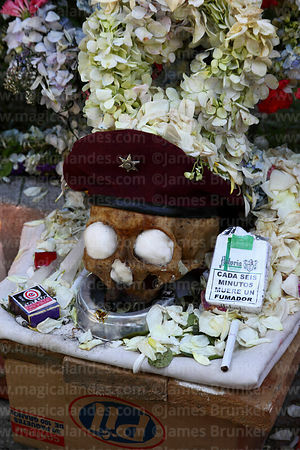 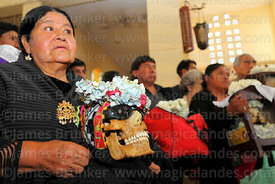 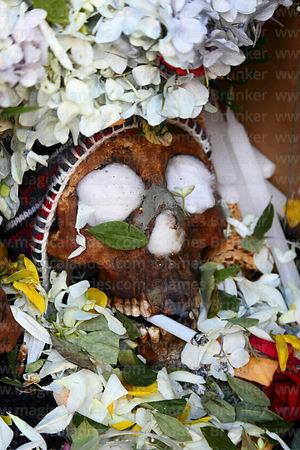 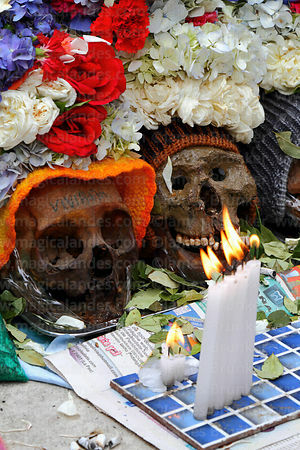 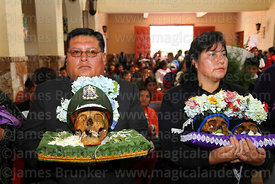 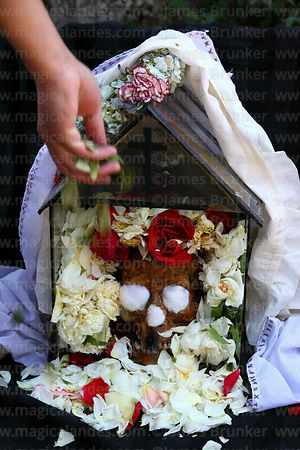 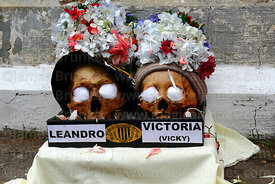 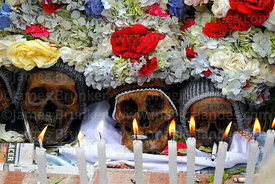 The Ñatitas (which means "flat noses" in Aymara) are skulls that people keep in their houses to protect them and bring good luck. 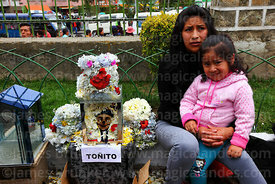 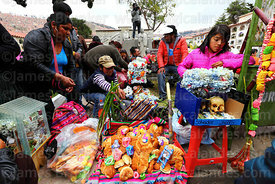 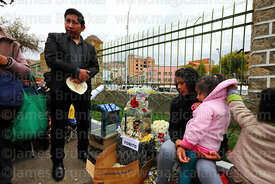 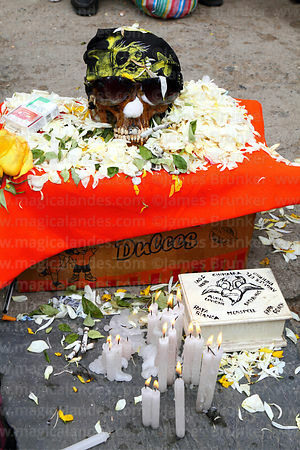 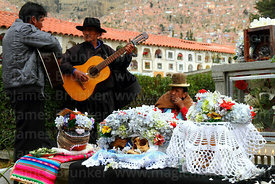 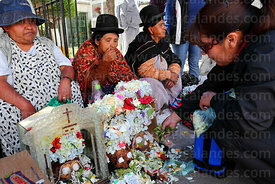 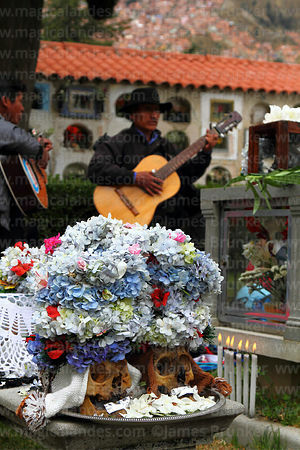 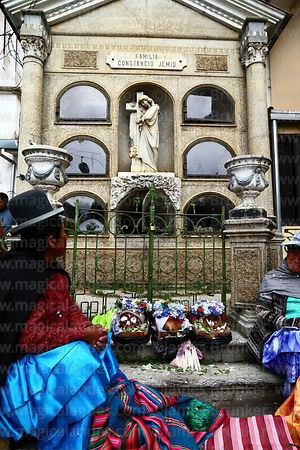 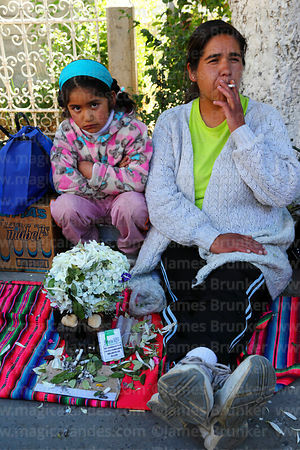 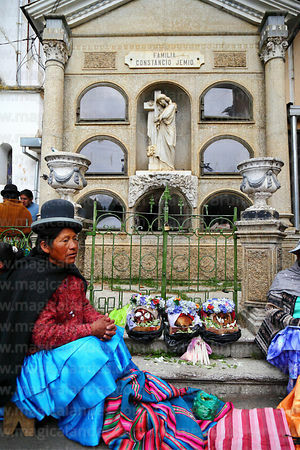 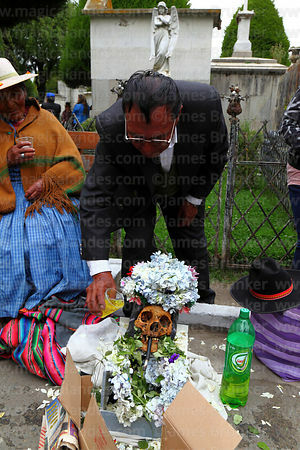 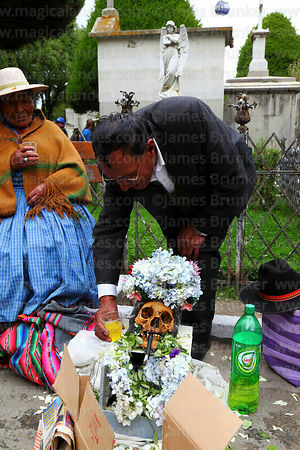 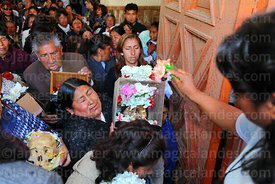 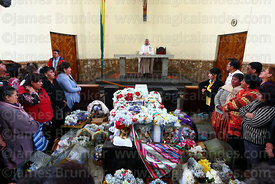 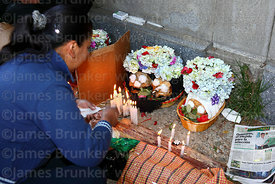 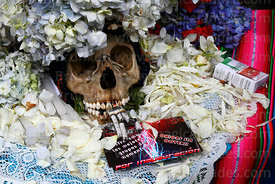 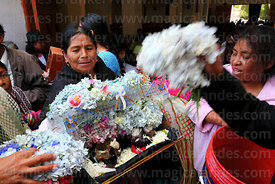 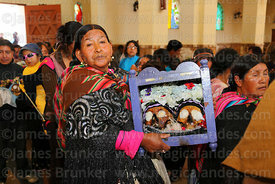 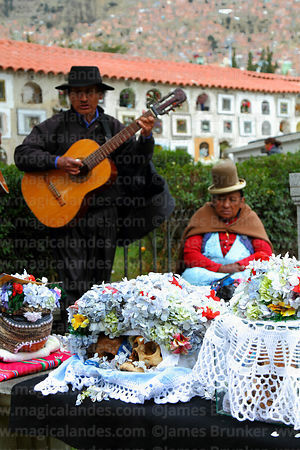 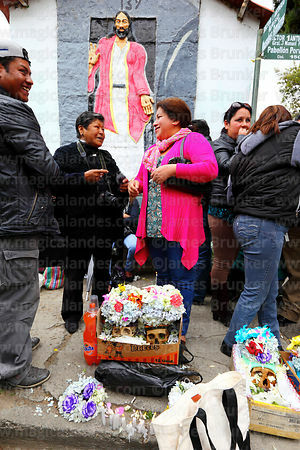 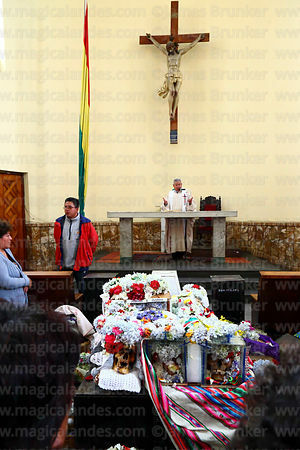 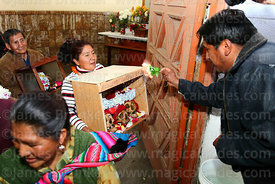 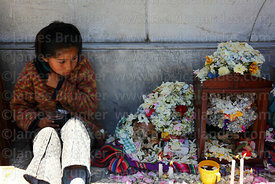 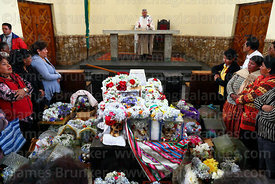 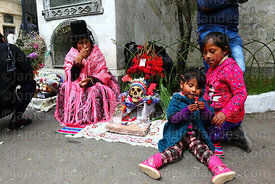 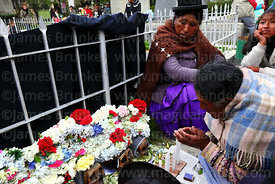 Once a year they take them to church in the cemetery to hear mass, be blessed and receive offerings (coca leaves, cigarettes, flower petals and alcohol are the most popular). 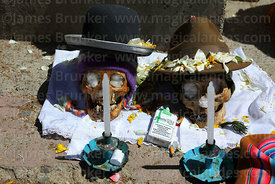 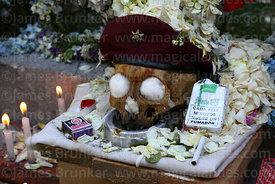 Some fraternities also hold parties in their honour. 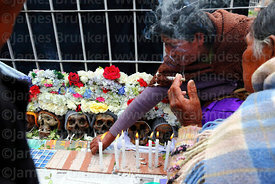 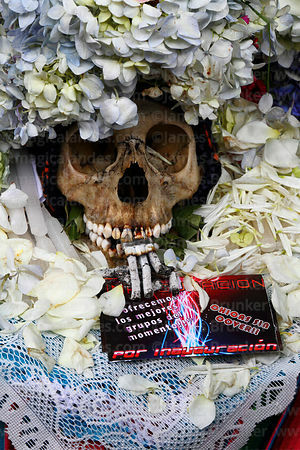 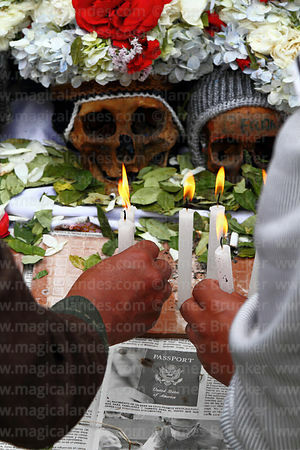 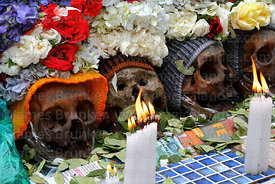 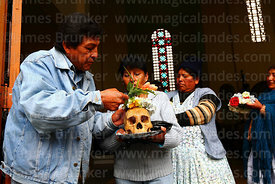 It is a cult that appears to be growing in popularity and almost certainly has ancient origins, probably dating from a time when the Aymara people of the altiplano used to dig up the bones of their ancestors once a year to join in with family events and meals before reburying them.